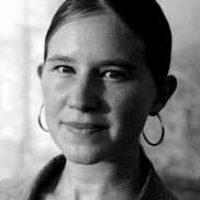 The Morris Sessions Lecture Series: Eula Biss and Robyn Schiff - "Lyric Knowledge: A Reading and Staged Conversation"
Eula Biss, author of On Immunity, will talk with poet Robyn Schiff in "Lyric Knowledge: A Reading and Staged Conversation" on March 29. This event, moderated by poetics scholar Stephen Voyce, is part of The Morris Sessions Lecture Series, sponsored by the Department of English, through a generous gift from Professor Emerita Dee Morris. All are welcome to attend.